First a quick rant – why “women’s” fiction? Why exclude 50% or readers….men write romance and read it. I hadn’t read book one or two, two was on KU so I read that and the synopsis of book one. I think I’d have enjoyed this even more if I knew the full backstory from book one, but even without its a story I loved. Some fabulous characters, and lots to ponder. For me the big one was Why? Why did Perry just ghost her when he moved, when they were so close, so in love? I really needed those answers. I loved Gigi and Jamie, though occasionally I do feel the Gay Best Friend is becoming a little overused in romance. Still, he fitted in perfectly here and did add much to the story. I adored all the dress designing info, a world I know nothing of. Fashion for me means finding some clothes that are not paint stained…I’m an artist and invariably everything gets an addition of unintentional colour. Last seasons clothes are fine for me, tomorrow I’m attending a christening in an outfit that’s probably 20 years old. It suits me so shy not is my reasoning. Still, I adore reading about the world of fashion, the creation of beautiful outfits ( all that beading, fabrics and beading are a real weakness of mine – tomorrows outfit is an Indian silk printed shalwar kameez, with a lovely glittery copper running through). I love the way something as simple as clothing can become so important, so much depending on it and I was completely sucked into Gigi’s experiences designing Victoria’s outfits. Alongside that is another world almost foreign to me, Theatre. I was entranced by the whole set design, setting music to scenes, creating a story from history. I could see why Perry was so hooked on the world, why it was so important to him. I still just kept having the thoughts though “why Perry, Why?” He seemed such a great guy, just didn’t seem the callous type. Then there’s Gideon, and he was wonderful too. So very down to earth, so hard working, determined to make his ancestral home pay its way and stay in the family. We’ve a few like that in the region I live, some owned by NT but others where the families work hard to keep everything in the family, even when it means letting the public into your home. I’d find that hard, but when the alternative is losing it? Knowing a few people of his type I felt the scenes with Gigi and his friends and family were very real. The top echelons of UK society can be very insular, do reject those not quite whom they regard as Like Us. U and non U is still very much alive. UK Society, was love enough? What about Gigi’s career? And then into all that drops the scandal and poor Gigi once more goes from cream of the top, Lady of the day into Most Despised Person. I so felt for her, she’d done nothing, it was Perry who really should have copped the blame but as usual the woman gets it ;-( The British press are merciless, and I so hate their desperation to cook up a story, parade lies as truth when it comes to celebrities. There’s a saying they never let the truth get in the way of a good story and its so true, and why I’ve not bought a newspaper for years. 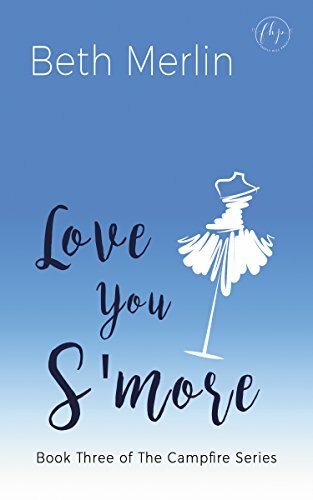 Its a fabulous, engrossing read, transporting the reader into the world of fashion married with High society, and showing just what an impact simple decisions can have on careers and lives. The ending – well, I loved it, perfect for me. I may well go back and read book one sometime, and two and three once more. A quick point, well a couple of them. We don’t say Fall, its Autumn. Certainly coming from a landed and titled family Gideon would Never use a US term like that when talking about how booked up Badgely Hall was becoming. Victoria, future Queen of UK, supposedly lets her husband know of his impending fatherhood by asking for sparkling cider instead of champagne. Here in the UK there is both Still and Sparkling cider, each very alcoholic. There’s no way a future Queen, UK born and bred would request cider, meaning a non alcoholic drink, she’d be asking for water or fruit juice most likely. Sparkling cider is a US/Canadian term only. They’re small points and usually I could ignore things like that – it happens when writing about other cultures and countries, but these two points are very major ones IMO. Stars: Five, a fabulous read, engrossing story, real characters and plenty of drama.